Baking captured my heart from a very young age and I can remember sitting on the floor in front of the oven watching the cupcakes steadily rise. It fascinated me and you’ll still sometimes find me sitting and peering through my oven door! There is something just so enchanting about combining a few ingredients and then watching the sticky batter magically rise into a perfectly fluffy cake. 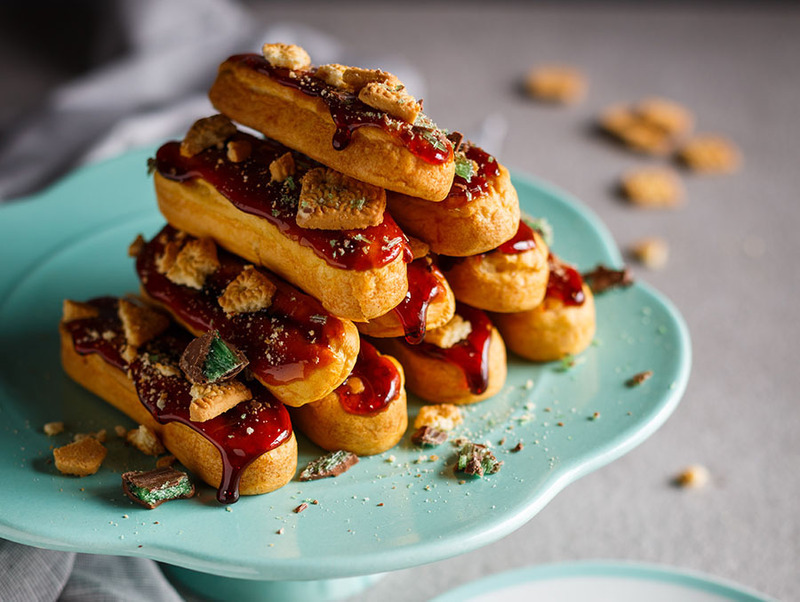 Choux pastry is the most miraculous of all; with no baking powder or yeast, a gooey, tacky dough miraculously inflates to form a pastry so light and airy that it threatens to float right off your fork. 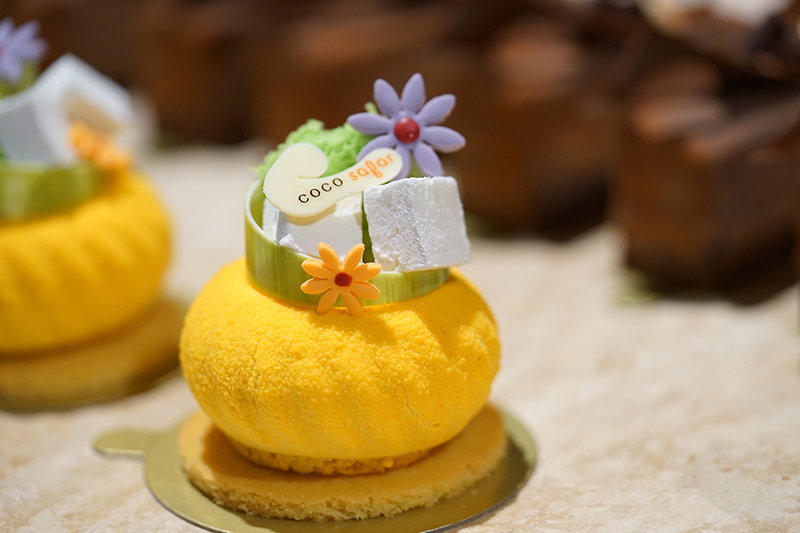 It’s hard to believe that choux pastry uses nothing but steam to rise to the occasion! 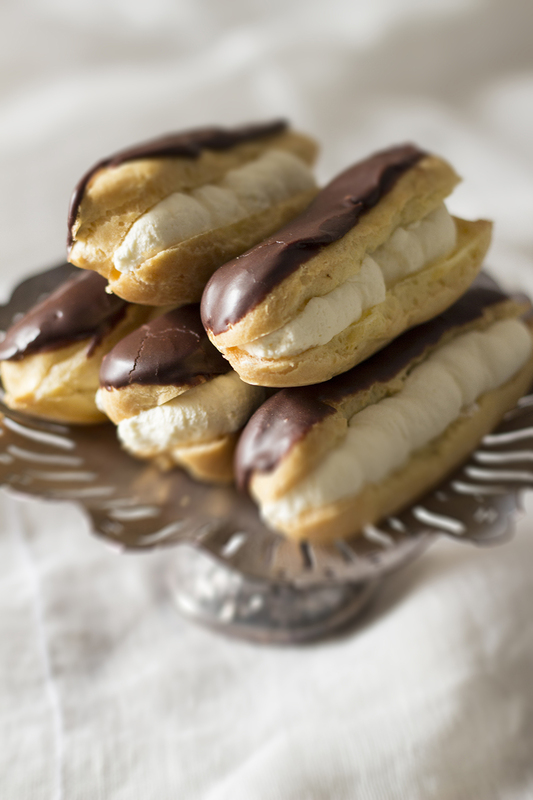 I’ve given my good ol’ chocolate éclair recipe a modern touch here and filled the little puffs with a tiramisu filling; lashings of whipped cream, rich mascarpone, a shot of espresso and a hint of vanilla. 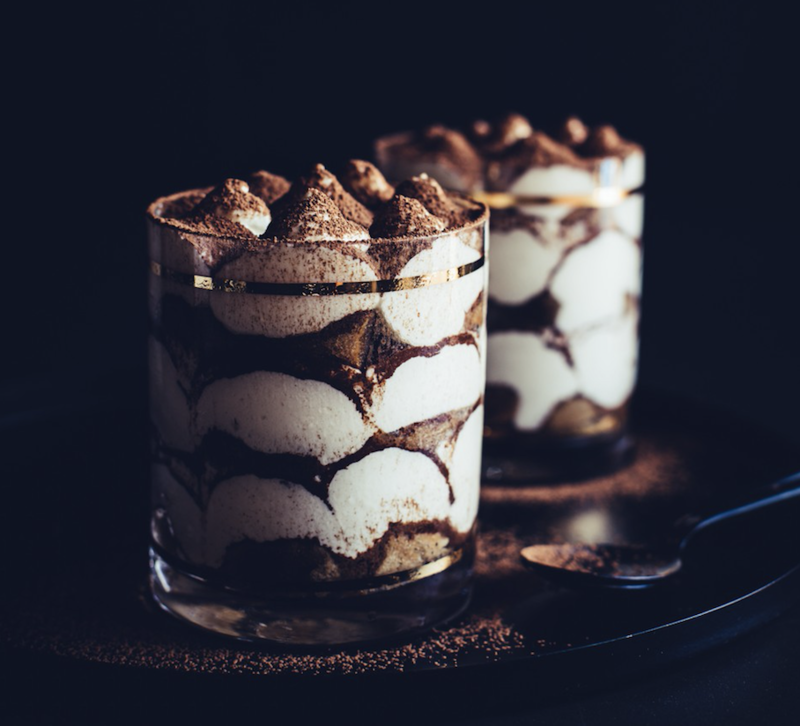 Tiramisu seems like such an appropriate match to these chocolate éclairs – and not just because the word means ‘pick-me-up’! Sift the flour and salt together. Heat the butter and water until just melted then bring to a rolling boil. Immediately remove from the heat and add all the flour at once. Mix until a smooth dough forms, place back on the heat and cook for about 1 minute or until the pastry pulls away from the sides of the pot. Allow to cool completely. Beat the eggs into the pastry a little at a time until smooth, shiny and of a piping consistency. Place the pastry in a piping bag fitted with a large fluted nozzle. It is now ready to be used as desired.For éclairs, pipe long tubes of dough about 10 cm long. Bake at 200˚C for about 15 – 20 minutes or until puffed up and golden. Turn off oven, remove the puffs, pierce each with a skewer to allow steam to escape and immediately return to the oven to dry out for 15 minutes. To assemble chocolate éclairs, dip the tops in melted chocolate and allow to set. 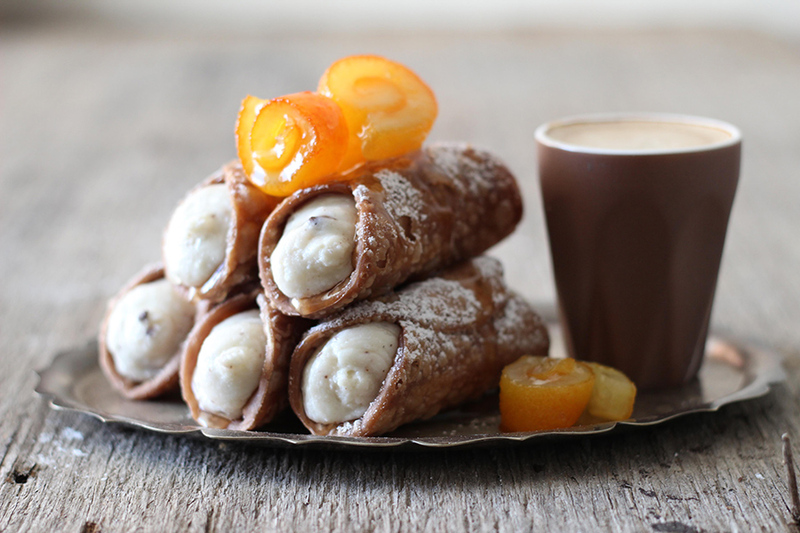 Whip the cream until stiff before folding in the mascarpone, espresso, vanilla and sugar. 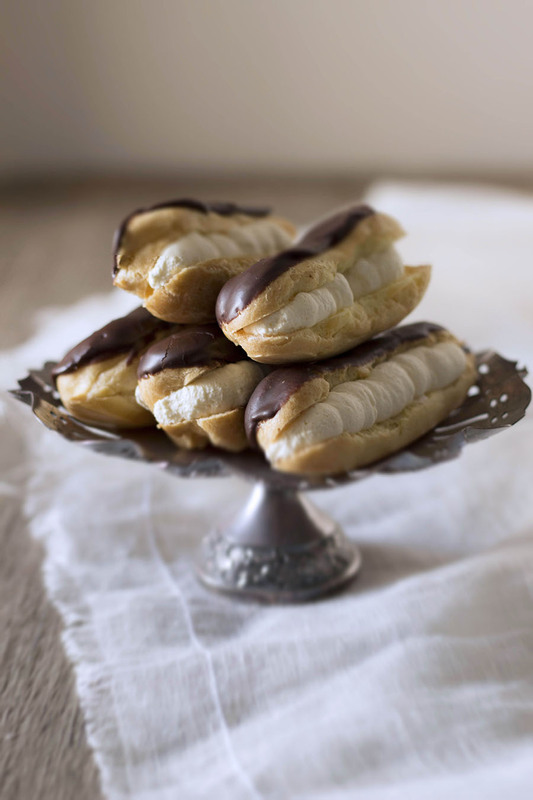 Place in a piping bag and fill the éclairs. Dust with cocoa powder, if desired. * sprinkle a little extra water on the tray before baking – the extra steam helps the pastry rise even more, making it lighter. * don’t be tempted to open the oven and take a peak or your pastries may run out of puff! 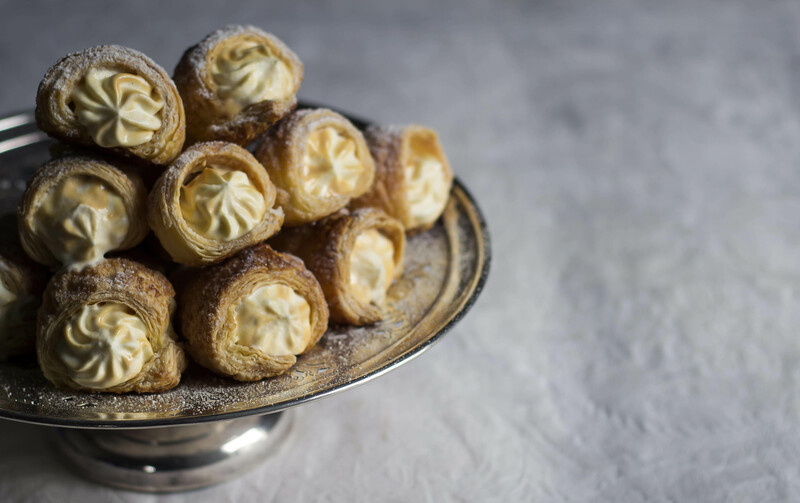 * unfilled choux pastries can be stored in an airtight container for no more than 2 days – just pop them into the oven for a few minutes to crisp them up again.